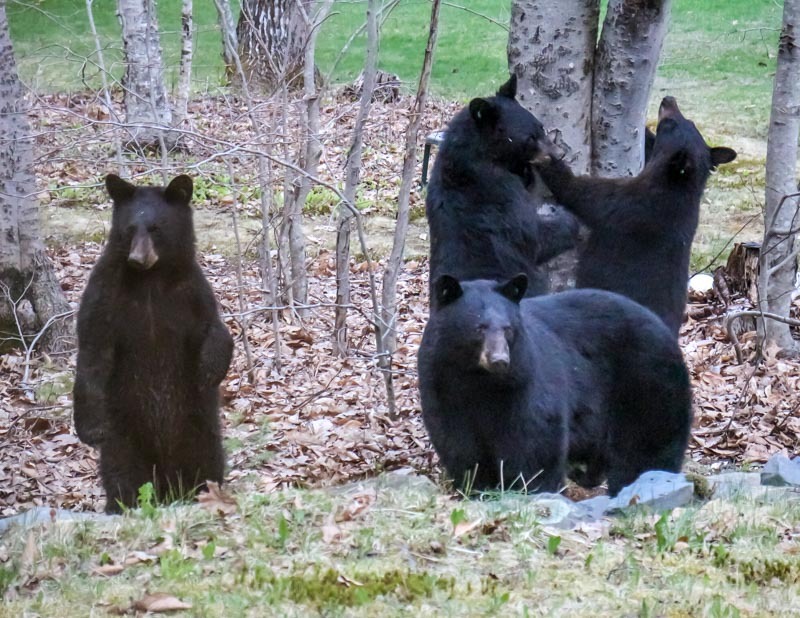 "The first photo was taken in our yard at the suet feeder on a tree - a mother bear with her three cubs. The cub on the left is reddish looking because of a reflection on the glass from the window." "The second photo is the first animal, a black bear, that our remote camera took three hours after it was installed on a tree in the woods. Again, in Orono, Maine woods next to our driveway."